Get our full list of connectors here! One tool for all your back-end needs. There are many great products for front-end development but creating things such as server side business logic, database access, payment processing and APIs is still unnecessarily complex and code dependant. simplicityEngine is a new, simple to use drag and drop services platform that lets you build back-ends for all types of applications with little to no coding and lets you connect your existing app with other services, applications and tools. For the first time build back-ends to applications in an intuitive way that doesn’t rely on coding. simplicityEngine gives developers the same power over the back-end of their application that front-end tools give them over the front-end. No more lock-in and learning curve to specific languages, platforms or databases. No more expensive and heavy integration platforms, build applications fast with limited budgets. 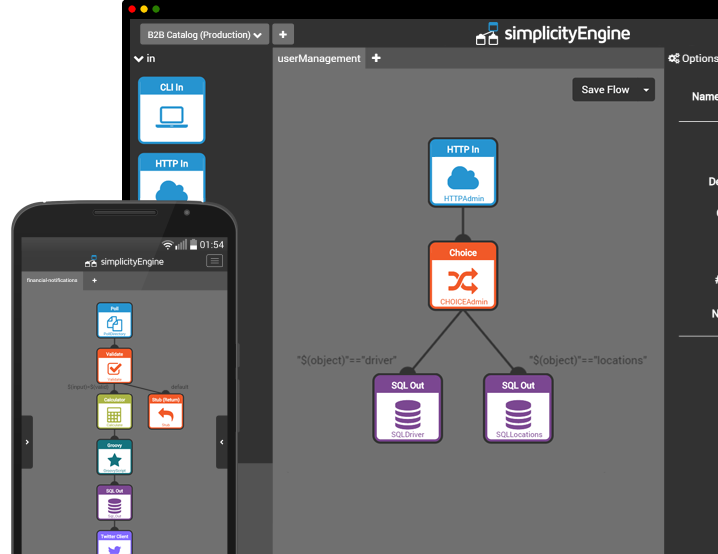 simplicityEngine pushes changes in real time, gets APIs working together quickly and shortens the feedback loop. Reduce dependencies on technical cofounders, keep your teams small and launch fast. When migrating data from legacy systems to the cloud or connecting complex systems together, enterprises shouldn’t have to hire armies of integrators. 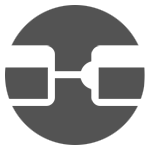 simplicityEngine connects systems over any interface with drag and drop blocks. Reduce cost and accelerate time to market. Keep your teams small and reduce your time to launch by removing complexity. Incorporate APIs in minutes and get everything working together quickly. Imagine a codeless ESB. Turn your business processes into automated workflows. Get your existing systems talking to each other and dig deep into your existing data sources. 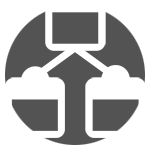 Create, consolidate and automate custom API calls. Use timed triggers to initiate actions on CLIs. 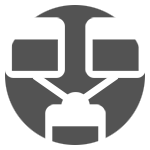 Manipulate VMs, containers and Docker instances programmatically and visually. Empower your own analysts to build and integrate internal systems quickly. Modernize without the stress of replacing critical legacy systems. Integrate your existing systems such as inventory, accounting, support and CRM to create a seamless real time view on your business. Be lean and efficient and compete with the big players with less overhead. Automate communications and processes. COPYRIGHT 2018 simplicityEngine Inc. ALL RIGHTS RESERVED.